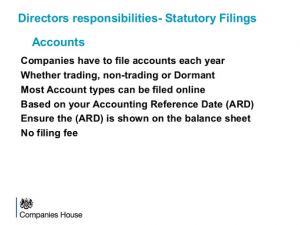 Annual Accounts – Nearly all businesses are required to prepare annual accounts in order to prepare tax returns. These are also used by other organisations, e.g. banks, financial institutions, customs and excise, national insurance etc. They will also provide the business with financial performance information that measures progress.